Man Utd boss Jose Mourinho is reportedly being forced to consider his options, with Borussia Dortmund star Julian Weigl now a possible target. 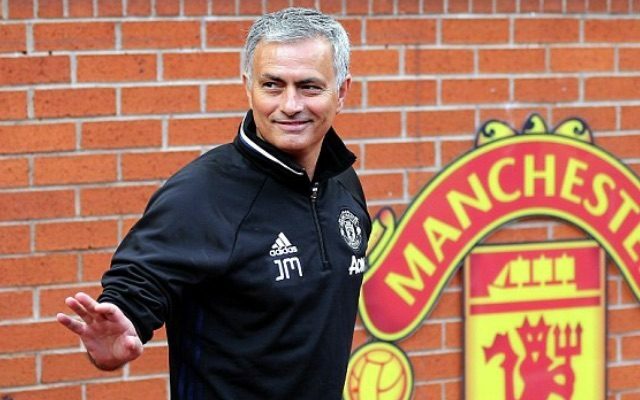 United need to strengthen in the heart of their side with a holding midfielder, and it appears to have been a priority for Mourinho this summer. According to The Daily Mail, the Portuguese tactician has been keen on either Tottenham’s Eric Dier or Chelsea’s Nemanja Matic, but he’s been left frustrated in his efforts to bring one of them in. It’s noted that with regards to Dier, Spurs don’t want to lose a key member of their squad, while Matic will not be allowed to leave Stamford Bridge until they’ve signed his replacement, Monaco’s Tiemoue Bakayoko. As the wait goes on, it’s now claimed that Weigl has emerged as an alternative, with the likes of Liverpool and Manchester City previously paired with an interest, as per the report. However, he did suffer a broken ankle at the end of last season which will keep him sidelined until September, and so there could be doubts over an immediate move elsewhere for the 21-year-old, as he’ll be focused on making a full recovery rather than considering an exit. With the likelihood that Chelsea will sign Bakayoko, coupled with how Mourinho is already familiar with Matic who has been strongly linked with moving on, that seems to be the most likely solution for Man Utd. Nevertheless, until that move is secured, he will have to keep monitoring the transfer market as he needs to address that area of his squad before the new season gets underway.